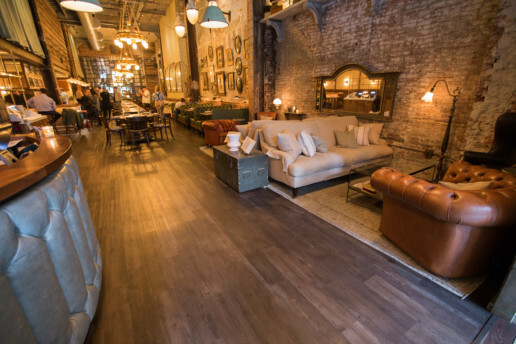 Flooring for restaurants and bars needs to be tough! In the case of Harp and Crown, it also needed a specific look as well. The nostalgic aesthetic called for a rustic texture with a heavy duty performance being situated in a very busy center city location. 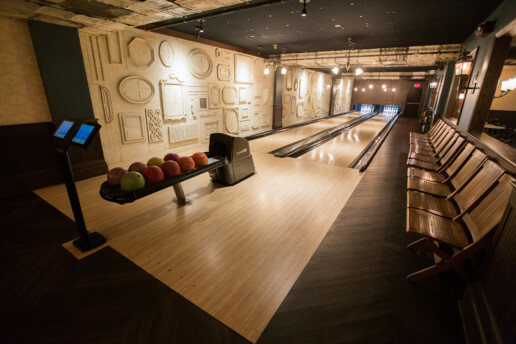 The first floor restaurant is wrapped in luxury vinyl plank (LVT), the speakeasy in the basement that has a bowling lane for private parties also has LVT installed in a beautiful herringbone pattern for a rich texture. 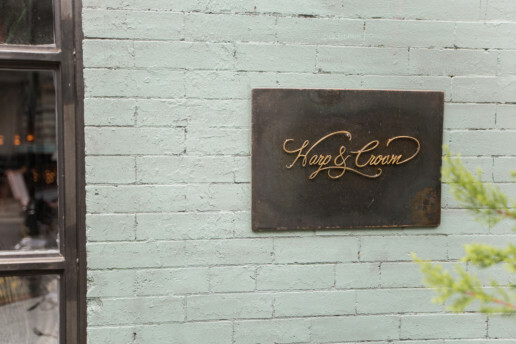 In the completely renovated space located on Sansom Street between 15th and 16th streets, Harp & Crown will bring together old-world touches of charm and luxury with modern sensibility and functionality. Its glass-façade, 24-foot ceilings, and four chandeliers on the ground floor are glamorous pieces balanced with funky vintage wallpaper and leather club chairs, millwork and natural tones throughout the space. The result is a comfortably refined space to match Chef Karen Nicolas' approach to cooking, which highlights seasonal ingredients and global cuisines. Guests may enjoy the delicate yet complex flavors of her new- American dishes amongst the space including a 32-seat bar. Delving further into the unused space within the building itself, guests will find a cocktail bar and two-lane, reservations-only bowling alley beneath the main room where cocktails, pizza and charcuterie will be served. 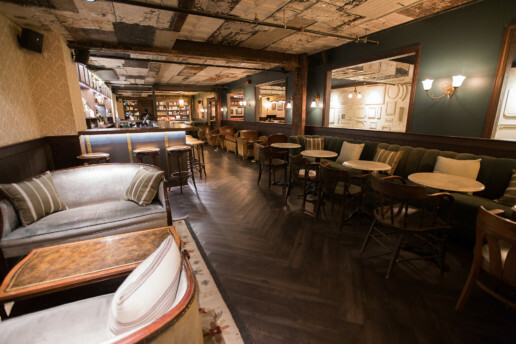 Smith Flooring completed project: Harp & Crown in Center City, Philadelphia.